Ever since Peter Drucker stated that there are only two constant factors in business — innovation and marketing — the need for continuously reinventing and changing business organisations, according to the present and future needs of the market place, has been in existence in the management ethos. While external turbulence and dynamic market conditions have come to stay for good, the challenges are quite different today. A healthy conversation is an effective remedy for almost all the workplace ills. But still a large majority of employees nurture hatred and ill will against their immediate colleagues with whom they spend most of their working hours. Simmering misgivings and misunderstandings occasionally erupt in ugly arguments over slightest provocation or in the form of bickering and tussle over seats and working space. Working amid such ill will hampers productivity considerably and causes stress and tension for everyone. Agri-business denotes the collective business activities that are performed from farm to fork. It covers the supply of agricultural inputs, the production and transformation of agricultural products and their distribution to final consumers. Agri-business is one of the main generators of employment and income worldwide. From the packaging of our daily household stuff to fancy product and company brochures to the larger than life billboards and posters that we see are all the handiwork of a brilliant and creative graphic designer. Are you sure that such workshops are helpful in improving communication skills and interaction among senior staff members? Dutch paint and coatings firm AkzoNobel will double its headcount in India to 4,000 in line with its growth strategy to quadruple sales to one billion euro in the country by 2015. Haryana Government will now provide free coaching to SC, BC candidates appearing for competitive examination for banking clerical cadre posts. There is no way through which you can know what is going on in your boss’ head. The best way to satisfy him is to give the task at hand your 100 per cent and work for your satisfaction. Earlier, the organisations were primarily of the command-and-control style of management following a ‘Top-Down’ approach. However, with the information age making its way into corporations, business expanding in a lot many different ways, it has been realised that the command and control policy was taking the very soul of the company — the employees. The emergence of science and technology has made us conscious that with process and technology easily replicated by others; employees are the only differentiating factor for the success of organisations. Today, no-one needs another web page telling them that the world is changing now faster than ever before. 'Intrapreneurship' — the latest buzzword in India Inc has started gaining momentum. Intrapreneurship means ‘Corporate Intrapreneurs’. Intraprenuer is a person within a large corporation who takes direct responsibility for turning an idea into a profitable finished product through assertive risk-taking and innovation. They leave no stone unturned to get the job done. Nowadays, organisations are finding it harder and harder to survive by merely competing. They are increasingly looking towards their intrapreneurs to take them beyond competition to create new businesses in new markets by providing them with a platform to hone their entrepreneurial skills. So instead of the organisations waiting to be in a bind, they are giving ample opportunities to their employees to come up with great ideas and the profitable ones are definitely being absorbed in. In fact, most management gurus argue that now the only way to achieve customer delight and to sustain it is to have a clear focus on developing intrapreneurs from within. As then the business performance is driven by superior talent. However, failure in unleashing the people's power and decoding their passion can also result in the breakdown of an organisation. Facts show that some of the most celebrated companies in history no longer even appear on the Fortune 500 list, having fallen from great to good to gone from the list. Companies like Scott Paper, Zenith, Rubbermaid, Chrysler, Teledyne, Warner Lambert, and Bethlehem Steel etc are good examples of this fact. To shield the organisation against such uncertainity and market dynamics it is important to have a strong organisational culture. HCL is one of the companies that adopted an unconventional people philosophy of "Employees First, Customers Second". The company replaced the quintessential "Customer is King" by "Employee, First", with a clear focus on developing entrepreneurial mind-set and transferring the ownership of "change" to the employee. As then employees move away from the role of command executors to business partners where they meaningfully contribute to the success of the organisation through their innovation, creativity and commitment to deliver. Practicing this unique culture HCL has produced over 100 CEOs in a span of 30 years. The best and most suitable example of an intrapreneur is of Vineet Nayar, the current Vice-Chairman and CEO of HCL Technologies, who started his journey in HCL as a management trainee and made a mark through innovative thinking, result orientation and value-driven leadership. Innovation is the winning strategy in today's business environment. Strategy is no longer just a plan or an approach but the ultimate goal of any organisation in order to be creative and be ahead of others. The companies do have a usual or a conventional approach towards business, but it is all focussed on creating value and creating innovation. A culture of innovation is an unparalleled steroid for a company. It is that invisible hand that empowers and supports an employee to think out of the box and to generate the 'wows' for customers. This culture of innovation should be coupled with the quality of the leadership. It is the leadership that inculcates the belief in its employees to take calculated risks and create business opportunities that serve the need for growth and improvement. Increasing the business value with the help of new innovations is the core goal of intraprenuership. Low rewards for success coupled with high costs of failure and performance evaluation based solely on job descriptions. While the organisations will definitely benefit with the employees with an intraprenuer spirit, it is not so easy to build a climate for intrapreneurship. Looking at the present demographics, the Facebook generation (Generation F as coined by Gary Hamel) is dominant and is inherently different than its fathers. This new generation is driven by the unwillingness to inherit some of the negative features of traditional management. This generation is hungry for success and because of the era that they are born in, are very adept and agile in their response and decision making. To leverage their true potential there is need to give them the right culture to focus on their empowerment, enablement and engagement — and then the rest of us can just sit back and watch these ‘Millennials’ drive a new era of experimentation in management practice! Realisation that the only way to achieve customer delight and to sustain it is to have a clear focus on developing intrapreneurs from within. Process and technology can be easily replicated by others; but employees are the only differentiating factor for the success of organisations. Corporates are providing platform to employees to hone their entrepreneurial skills and are transferring the ownership of change to the employee. Research in organisational psychology has established how conversation acts as a therapy when things go wrong among colleagues. The first and foremost step is to open the floodgates of pent up emotions which hamper one's peaceful thinking and proper focus. In a disturbed state of affairs it is difficult to focus well on the assignment in hand. And it is proficiency, efficiency and productivity alone which make an employee rise in his domain. Once conversation is put in its proper gear, the channel of good understanding among colleagues is opened and fresh and innovative ideas of common understanding and cooperation make the workplace machinery work much more efficiently enhancing overall productivity. Every employee who wants to progress must realise that there is a world of difference between a false and truthful conversation. Honest conversation is healthy conversation, whereas a false or forced conversation is a great put off. When an employee says something else but does something else, the focus on the assignment in hand is weakened and productivity is often at low ebb. Research has shown how a healthy (truthful) conversation can even heal problems like hypertension and headaches which may be triggered by tense atmosphere at work place. Tensed up employees, who keep themselves deprived of a healthy conversation, can never be creative. They dwell more on the thoughts of harming others rather than on thoughts of helping or cooperating with others. As a result, they never think of achieving higher goals. It must be remembered that our automatic creative mechanism is clearly connected with our feelings and emotions. It operates in terms of our goals and end results. Our automatic guidance system takes us to a much better solution than our conscious mind can ever dream of. But it only works better when we put it on a positive wavelength which starts operating only when we keep feelings of serenity on an upward climb. Healthy conversation doesn't take too much effort. Just begin with a pleasant questioning. In your free time ask your immediate colleague, "I feel you are doing very well! May I know how do you do all that?" When your first sentence is pleasant, the second one will move him to a kind expression, thereby making your conversation a healthy one. No one is bad if we ourselves are not so. "Please" and "Thank you" are the best lubricants in every workplace atmosphere. They act as the best drops of therapy during any conversation. They make a conversation healthy thus enhancing one's output. You can't realise it unless you try it and practice makes one perfect. And in this case perfection will pay you dividends which you can never even dream of otherwise! Productive resources e.g. feed, seed, fertilisers equipment, energy, machinery etc. Agricultural commodities e.g. food and fibre etc. Facilitative services e.g. credit, insurance marketing, storage, processing, transportation, packing, distribution etc. In a country like India, agri-business system with forward and backward linkages consists of the following four major sectors such as agricultural input; agricultural production; agricultural processing - manufacturing or agro processing; and agricultural marketing - distribution sector. These four sectors act as inter-related parts of a system in which the success of each sector depends, to a large extent, on the proper functioning of the other sectors. Thus, agri-business is all about conducting successful business in the food and agriculture related sectors. Agri-business management is nothing but the application of management principles for agriculture. Agri-business management encompasses many aspects of the economy: agricultural producers, businesses that provide supplies and services to the producers (including cooperatives), businesses that add value to agricultural products, and those that facilitate the marketing of agricultural products to an ever-growing marketplace. Business management is aimed at developing analytical and cognitive skills of micro and small rural entrepreneurs to cope with decision-making and problem-solving for their enterprises. Support could be for entrepreneurs dealing with farms and agro-industries on an individual or associative basis. Training materials are developed to provide practical advice and information on management aspects to help entrepreneurs or potential investors to run a sustainable business. The different training materials, training programmes and guides aim at enhancing the integration of production, packaging, transport and storage of marketable commodities and value-added products from the farm through to the consumer and to support entrepreneurs in rural and semi-urban agri-business development. The job outlook for agribusiness managers is growing, as there are only a handful of qualified individuals for the many jobs that are available. There is often an ongoing need in marketing agricultural products as compared to other areas, and working as a marketing professional is often a good entry level into the industry. For example, marketing managers often help to identify and develop businesses for farmers or corporations that own farms and want to wholesale or retail food or other products. Individuals in those positions should be skilled at managing people and have an understanding of the business and economics of agribusiness. Careers in agribusiness are varied: from farming or ranching to commodity broker, food broker, loan officer, marketing researcher/specialist, product analyst, purchasing agent, statistician, and wholesaler. Today an agribusiness manager is concerned with environmental issues, industrialisation, research, foreign markets, and econometrics. This is a field for top-notch, market-aware individuals who enjoy a challenge. Commercialisation of agriculture calls for specialised production, post-harvest management, expansion of processing, transportation, packaging activities and positioning of products both in the domestic as well as international markets. Every year about 20-30 per cent of crop is wasted at farm level in India due to improper handling, spoilage, floods, droughts, pests and diseases and lack of knowledge of post- harvest technologies. In the case of fruits and vegetables, this wastage is around 30 per cent. The policy of liberalisation and the establishment of WTO have created more opportunities for globalising agriculture. The public, private and cooperative organisations are looking for professionally competent and trained agribusiness managers. The State Agricultural Universities (SAUs) can take a lead in this direction to provide them the desired manpower. The managerial skills of meritorious agricultural graduates can be developed by SAUs. So that they can prove as effective agribusiness managers. There is greater need of agri - business education, research and capacity buildings. Now, most of the State Agricultural Universities (SAUs) are offering post-graduate programmes in agri-business management. National Institute of Agricultural Extension Management (MANAGE), Rajendranagar (Hyderabad) — www.manage.gov.in. 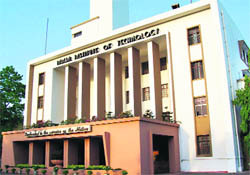 National Institute of Agricultural - Marketing (NIAM), Jaipur (Rajasthan) — www.niam.gov.in. Institute of Rural Management Anand (IRMA) (Gujarat) — www.irrha.ac.in. Indian Institute of Management (IIM), Vastrapur (Ahmedabad) — www.iimahd.ernet.in. Indian Institute of Management (IIM), Prabandh Nagar (Lucknow) — www.iiml.ac.in. As a key component of Commercial Art, graphic design involves knowledge of several related disciplines such as typography, calligraphy, printing techniques, photography, illustration, painting, animation, multi-media and computer-aided design (CAD), book, magazine and advertising design, packaging and label design, and desktop publishing. As a graphic designer you will think up creative solutions to solve communication problems for promoting products, services or ideas. You will lay out the text and pictures for an article, design the jacket for a book or magazine, visualise advertisements, posters, sales brochures, stationery, product packaging, POPs (point of purchase material), websites, credit and title sequences for film and TV programmes, or design the layout for outdoor media like hoardings and kiosks, etc. The project could be as challenging as designing a CD jacket for the latest pop album or as mundane as a letterhead for a local stockbroker. With inputs from product manufacturers, copywriters and brand managers, you will come up with an idea which will be first sketched out and then perfected using a variety of tools and techniques. Although traditional drawing skills still remain prized, the computer has become an indispensable tool for the modern designer. Much of the work is now executed with the help of sophisticated designing software. A word of caution though: Not everyone can become a graphic designer. You need to have a keen sense of aesthetics, colour and balance, coupled with loads of creativity and imagination. A good hand at sketching and painting is always a great asset. Graphic designers typically work with advertising agencies, newspapers, publishing houses, film production units, design studios, art schools and at exhibitions. In an advertising agency you will visualise and finish ad layouts, brochures, labels, posters, storyboards etc. Starting off as a Junior Visualiser, you will move up the ladder to become the Art Director, and perhaps even the Creative Director of the agency. Talented graphic designers are worth their weight in gold and command excellent salaries if their work is outstanding. 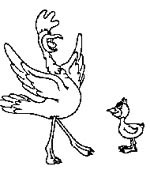 You may choose to work as a cartoonist or an illustrator for newspapers, magazines, children's books, diaries, calendars, greeting cards, etc. Also, there is considerable scope for designers on the Internet. Web design involves designing web pages to give the website an inviting look and feel without compromising on functionality. Once you've gained sufficient experience, you can work as a freelance designer, and eventually set up your own design studio. Film and television also provide ample opportunities. It is the graphic artists who provide a vital support to TV programmes by conveying messages in an eye-catching manner with the help of graphics, special effects and animation. Combining strong visual aptitude with technical skills they create attractive graphics, titles, charts and visuals to illustrate and highlight the commentary. That you must be talented and highly creative goes without saying. And if your creation (ad, hoarding, brochure, poster, direct mailer design) manages to cadge an Abbey or international award, then you can consider yourself as having "arrived". You'll acquire instant celebrity status and will be profusely toasted (and envied) in ad circles. Of course, you will also be up for a significant raise and poaching offers from rival agencies. On the flip-side, be prepared to work under tight deadlines. In the advertising and media industry everything is wanted "yesterday"! Regardless of whether the muse strikes or not, you have to deliver, each time. In an increasingly design-conscious world, you have to keep abreast of changing consumer trends and production technology. A colour scheme or layout that looks good on paper, may appear completely washed out when printed. Originality is highly prized in this profession and you must constantly work at keeping the creative juices flowing regardless of how big or small, prosaic or exciting the job at hand. But remember, graphic design is not art for art's sake. It is geared to deliver a solution or serve a communication purpose. A good ad or design is one that manages to sell the product. How you do it while standing out from the clutter of a zillion other ads and editorial matter in a newspaper, or from competing products in a cramped shop - depends on your creativity and execution. Art colleges, architecture schools, and design institutes are the traditional breeding ground for graphic designers. With computers having taken over and revolutionised the world of design, a short-term course in multimedia or computer graphics would enhance your skills. Look for the best training package from a reputed institute although some of the better art colleges do incorporate the basics of computer graphics and animation in their courses. But remember, technology in graphics requires constant upgradation, so make sure you are being trained to handle the latest version of software such as PageMaker, Adobe Photoshop, Corel Draw, etc. Q. I have been a teacher for over a decade. Over the years, I have found that many of my friends and colleagues have turned to me for advice in solving their personal problems. And touch wood, I have been able to guide them properly. This leads me to think that I would make a good family or marriage counselor. Can you tell me something about this field? Does one need to pursue a course? A. A growing number of mental health professionals work in Marriage and Family Counselling. Psychologists with a masters or higher degree in psychology /counselling evaluate and treat mental and emotional disorders, health and behavioural problems, and relationship issues - all within the context of the family. Often, a patient seeing a psychologist individually, is referred to a marriage and family therapist when it's determined that family dynamics and family life cycle issues such as the birth of a child, or the death or terminal illness of a family member or parent-child issues are contributing to a problem. Parents and couples struggling to make family relationships work also benefit from this kind of therapy. With so many marriages falling apart, pre-marital counseling is also becoming the need of the hour. The therapist mostly sees couples and the whole family together, but may occasionally see individual family members as well. The idea is to help them find better ways to communicate and meet each others' needs. These counsellors often come from the ranks of psychologists, psychiatrists, social workers, nurses, paramedics and teachers. Recognizing how vital the family experience is to overall health and well being, they seek additional training to specialise in this important field. A diploma, degree or certificate course in counselling would be a good starting point. The course will teach you the skills of the counsellor's art: How to resolve the problems that people face; How to set up your own counselling practice; How to win clients; How to handle the client's problems, how to maintain documentation etc. Infinite capacity to give each client a patient hearing. Empathy and ability to strike a rapport with your clients. A caring attitude that gives the client sufficient confidence to confide in you. The strength to view the problem objectively without being judgmental or getting personally overwrought or emotionally involved. Ability to communicate with people from all strata of society. You probably have some of the skills already. You're probably a good listener. And people approach you with their problems, because they see you as a sympathetic person. Now you can use those skills, overlaying them with professional counselling skills, to become a counsellor in your own right. Q. Earlier, I had planned to pursue my master's in psychology in the US, but I'm now looking at doing a one-year Master's from UK. Please tell me if I can submit my TOEFL scores to study in UK? A. People from around the world who wish to work, study or settle in the UK can also use the TOEFL iBT® test in addition to the IELTS to demonstrate their English proficiency for Tier 1, 2 or 4 visas under UK's points-based system. Since you haven't mentioned your TOEFL score, I would also advise you to check the TOEFL score requirements set by the institution where you intend to study. If you don't have the required minimum section score required for the CEFR level (i.e. Listening ­ 21, Reading ­ 22, Speaking ­ 23, Writing ­ 21), the college may choose to re-assess your English proficiency skills in that section. Q. I am a B.Tech student. I would like to go for further studies in computer science abroad to improve my prospects. Which are the top 10 universities in the world? How do they compare with our IITs? However, our own IITs (Delhi and Bombay) have made it to the Top-50 list in the same ranking. Sadly, it's our relatively low Citations per Paper scores that pull our IITs down despite good academic performance and high employer reputation. Compare IIT-B's (Rank: 50) high Employer Reputation score of 60.6 vs. to that of Caltech (Rank: 7) low score of 49. Thus, it's the research quality and output which carries significant weightage in the overall ranking methodology of most international ranking exercises that brings our otherwise academically excellent institutions' scores down. A. 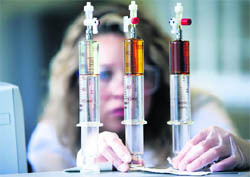 Many students want to stay in the science world, but don't like the idea of a lab-based career. The good news is that drug discovery is unique in offering multiple career options that let you stay close to science without the daily grind of laboratory life. A platform in pharmacy can serve as a stepping stone to careers in pharmaceutical patent laws, business planning and strategy, project management, operations management, publishing, media, communications and promotional activities, management consulting, competitive research, clinical research, regulatory support, and business development (setting up alliances with partner firms). These functions, all critical to drug discovery, are intellectually stimulating, and offer a great opportunity to stay within science while leaving the lab behind. Depending on the area you choose, you may need to pair or enhance your present qualification with a relevant degree/diploma course if necessary. The company that sees India becoming one of its top three markets in the coming years, surpassing Brazil and China, which are after the USA, said recruiting and retaining the right talent will be key while pursuing its growth here. "Our biggest challenge is that we should be able to recruit and retain the right kind of people. We should be able to organise in such a way that we are able to bring the best practices into India and use in Indian environment," AkzoNobel Chief Executive Officer Hans Wijers told PTI. Asked about hiring plans in India, AkzoNobel India Country Director Amit Jain said, "Our employee count is set to double (by 2015)...we are a tad over 2,000 right now and we would have more than 4,000 employees in line with the growth path which we are looking at." Haryana Welfare of Scheduled Castes and Backward Classes Department has informed that the candidates whose parents' annual income from all sources was less than Rs 2.5 lakh will be eligible for the coaching. As many as 30 candidates of Scheduled Castes and 20 candidates of Backward Classes would be selected for each centre on the basis of merit from the applications received. The concerned department has invited proposals from reputed coaching institutions, engaged in providing coaching to the candidates for competitive examinations and entrance examinations like pre-entrance medical test, Banking Service Recruitment Board, Probationary Officers, for empanelment for the purpose of providing coaching to candidates belonging to Schedules Castes and Backward Classes. Reputed institutions having 10 years experience in coaching in the prescribed field and having a turnover of Rs 10 lakh per annum would be eligible to apply for the same. Besides this, the success rate of students per year should be at least 35 per cent and the institute should quote fee per student and duration of the course. Freedom fighter Subramanium Bharati, who was a Brahmin living in a Brahmin neighbourhood, knew integration of all sections was important. Against custom, he grew a moustache, wore a turban, had meals in the company of lower-caste persons and held his wife’s hand in public. One day, he even hugged a donkey in the street. As a result, he incurred the displeasure of the neighbourhood that forced him to move to a labourer’s hut on the village outskirts. Though the prosperity of the Devas was due to devotees conducting yajnas, Indra, the chief of the gods, didn’t want any yajna to go too far. He disrupted sage Vishwamitra’s penance twice by sending nymphs Menaka and Rambha. Indra also didn’t want any challenge to his title ‘Performer of a 100 sacrifices’. When Dilipa, great-grandfather of Rama, did so, Indra stole the sacrificial horse. When Dilipa’s son Raghu confronted him, Indra made a compromise by giving Dilipa the merits of the sacrifice, but not the title. In order to please the dying Duryodhana and avenge his father Drona’s death, Ashwathama vowed to continue the Mahabharata war. Having been appointed Commander-in-chief of the Kaurava army, Ashwathama decimated the Pandava camp in their sleep, killing all except the five Pandavas, Satyaki, Krishna and Yuyutsu. For this cowardly act and his inability to recall the celestial weapon Brahmashira, Ashwathama lost his reputation as a righteous warrior and the precious gem in his forehead. Plus, he was cursed to eternal life afflicted by leprosy. Akbar was 13 years old when his father Humayun died. General Bairam assured the boy that he would take care of things. Under Bairam’s command, the Mughals won the Second Battle of Panipat and later, forced Sikandar Shah in Punjab to agree to a truce. In the next four years, he subdued all major enemies. But later, due to difference of opinion over the killing of Tardi Beg, the Governor of Delhi, and his growing influence in court, Akbar forced Bairam to retire and go for haj. Do your best. If your boss doesn’t notice this, it is his loss, not yours. 1. Which pioneering Indian-American biochemist, winner of the Nobel Prize for medicine in 1968 for his work in DNA chemistry, passed away recently? 2. Where was the 17th South Asian Association for Regional Cooperation (SAARC) summit held recently? 3. Name India’s third permanent research station, proposed to be set up in Antarctica by March 2012. 4. How many years ago did the Army Aviation Corps come into being? 5.	Who was known as the Bard of Brahmaputra? 6. How many years ago did the first Indian Coffee House come into being? 7. In which place in India are the Asia’s biggest mechanised diamond mines, where a 37.68-carat diamond was found recently, situated? 8.	Who has scored 15,000 runs in Test cricket? 9. How many wickets fell on Day 2 of the Cape Town Test between South Africa and Australia recently? 10. With which sport was Joe Frazier associated? Cash awards of Rs 400, 300 and 200 are given to the first, second and third prize winners, respectively. These are sent at the school address.